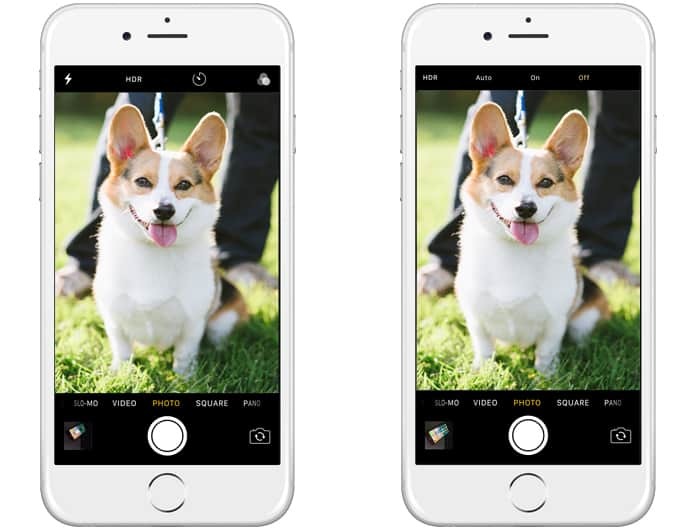 When you take a picture using your iPhone when it is brand new, it will take a picture that is either a normal photo or an HDR photo. This is because Apple has a high dynamic range setting that is set to automatic by default. However, it is possible to toggle HDR on or off manually. The problem arises where this toggle is available in the iOS 11 on iPhone 7 models and older but not on the iPhone 8 or 8 Plus. Today we are going to talk about how to fix HDR missing on iPhone issue. 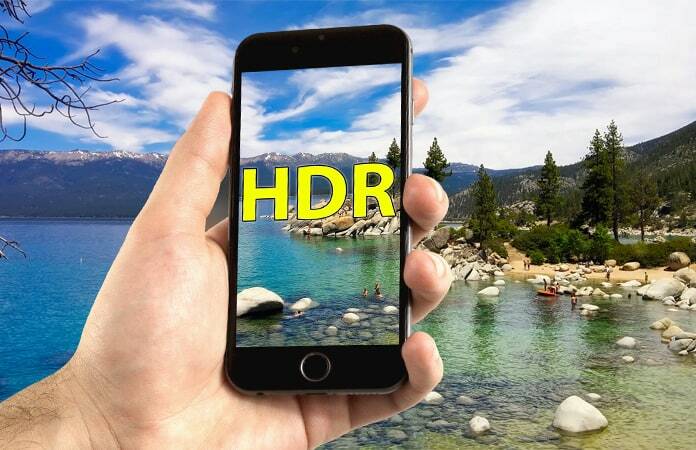 Apple removed the HDR option from the later iPhones because the inbuilt software on its own was able to quite accurately determine when the HDR was to be used and when it wasn’t supposed to be. The end result is still the best possible photo for a given situation. It’s quite possible that the button even disappears from older models as this confidence in their software increases. However, having the HDR missing on iPhone may be more than some users can bear. It’s also possible that in certain situations you may want to make the call of whether to use HDR or not on your own terms. Whatever the reason, we will help you in this aim. It’s possible to get the HDR toggle back for both the front and back cameras. To do so just go to the Settings app and tap on Camera. After that go to Auto HDR and toggle off. 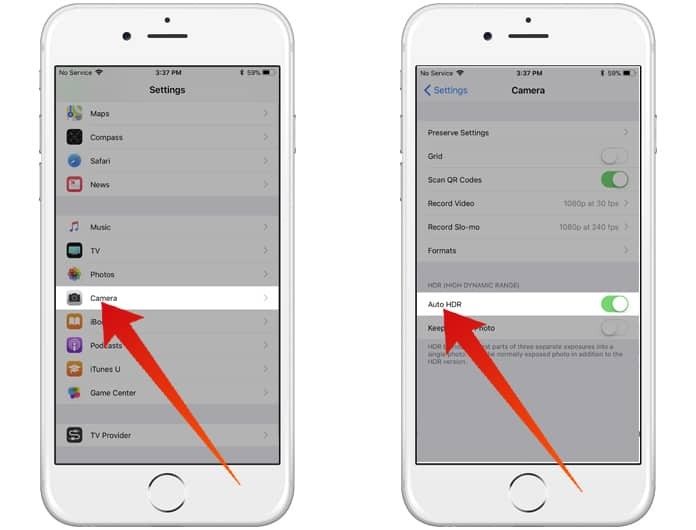 Now, when you return to the Camera app, the HDR missing on iPhone should have returned, just as you wanted it. Tapping on HDR will show both the On and Off options. In case you want to shoot with HDR manually quite often, you may want to toggle on the Keep Normal Photo from the Camera settings. What this does is that in case the HDR version doesn’t turn out to be exactly how you want it, it will still be possible to have the normal quality image to use. With your HDR missing on iPhone returned to you, go out there and take all the HDR photos your heart could desire.